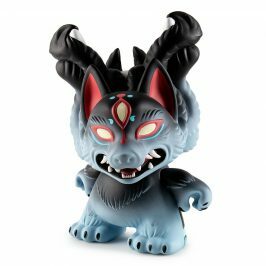 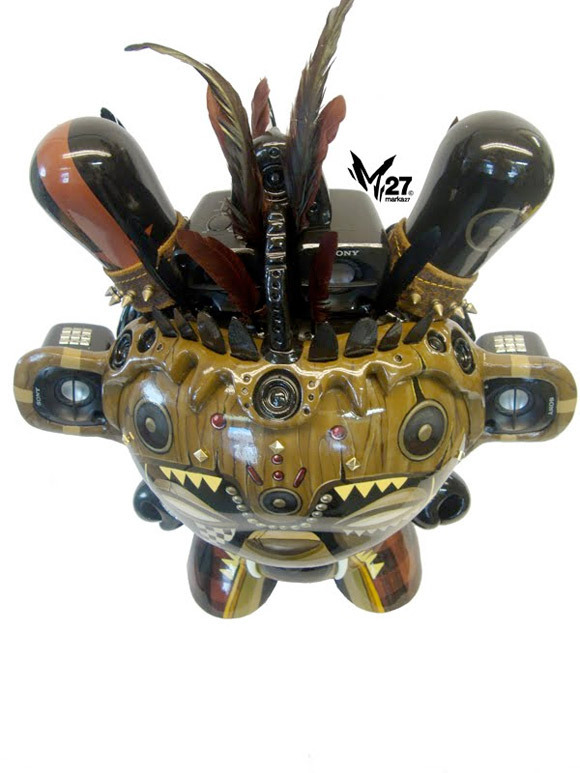 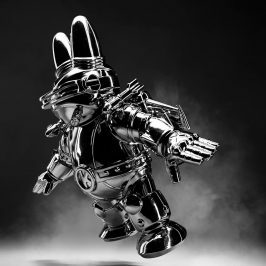 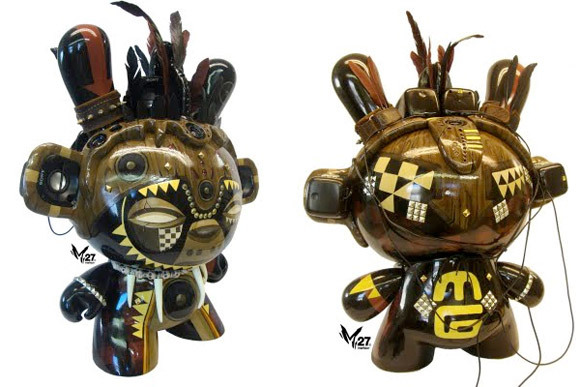 Dunny Azteca II artist, Marka27 is amped up for his new Shadow Serpent Dunny signing tour and has recently completed a jaw-dropping custom African Minigod 20-inch Dunny. 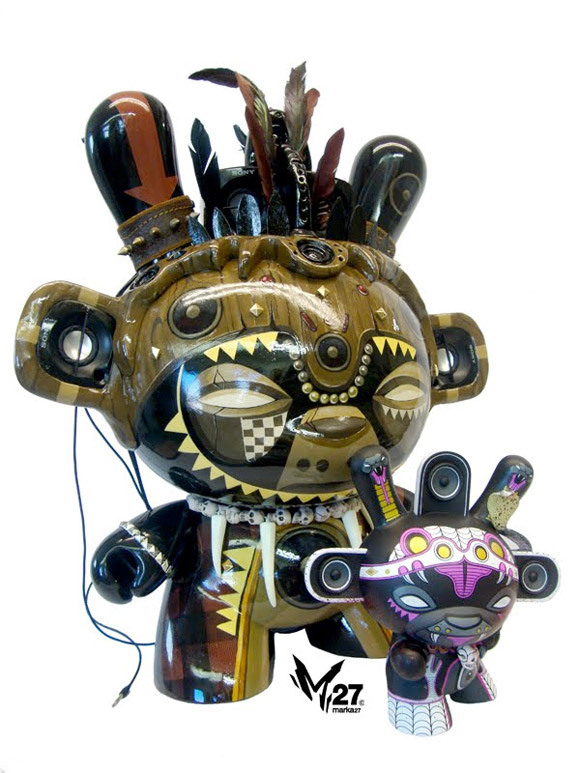 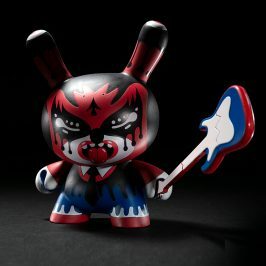 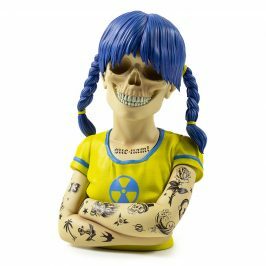 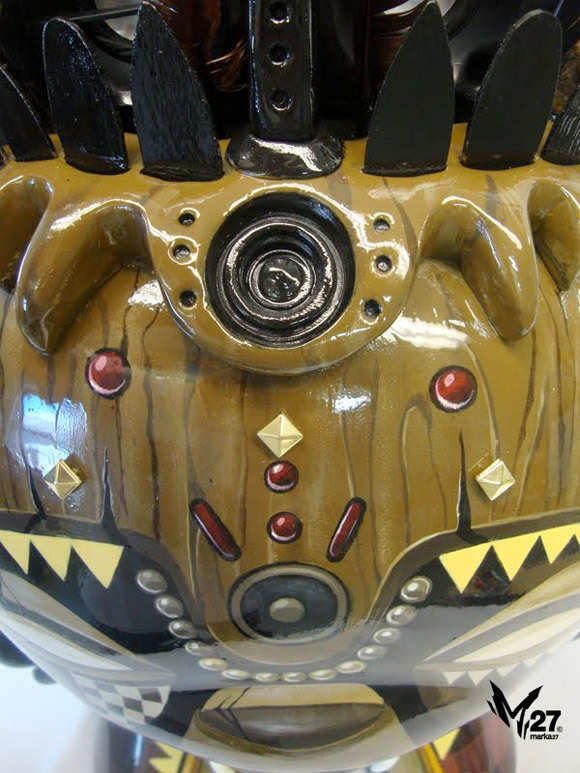 Marka’s new one of-a-kind is musically inclined with 4 fully functioning speakers and is adorned with excellent brush work and many detailed accents all throughout. 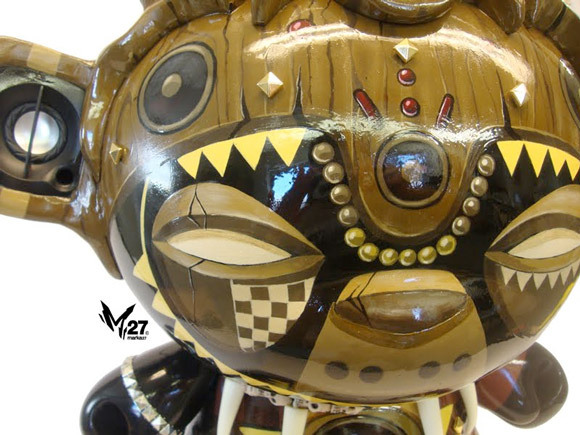 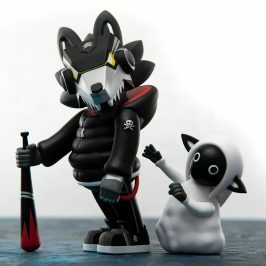 This massive masterpiece will be accompanying Marka for the pre-release signing at Kidrobot New York this Wednesday, then continuing on to Los Angeles on Thursday and San Fransisco on Friday.